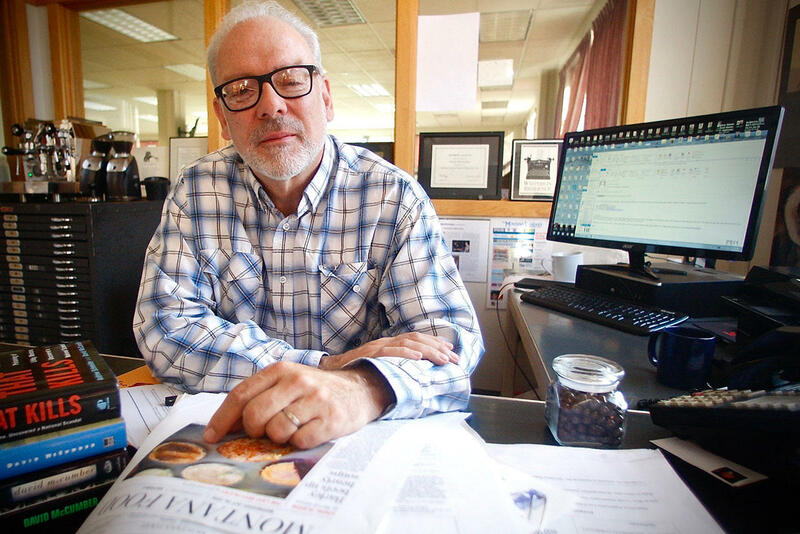 David McCumber, editor of the Montana Standard in Butte, MT. Nora Saks: David McCumber Thanks for joining us on Montana Public Radio. David McCumber: Nora Saks nice to talk to you again. NS: Last week the brand new regional administrator for the Environmental Protection Agency toured several Montana towns. His name is Doug Benevento and he's been in his job only a handful of weeks, but Butte was one of the stops on his tour. Can you tell us why did he come to Butte so early into his new role? DM: Well I mean, I can only guess, but I think that he has been told by both members of our congressional delegation and probably by people who briefed him at EPA, that Butte is the hot button issue in Montana and that EPA has taken a fair amount of flack for lack of progress in. And I think that's why he came. He told us that he'd only been in office, I think, 13 days when he came here, and four of those days he'd spent in Montana. And it seemed like much of that time he was talking about Butte. He went and talked to Governor Bullock and the DEQ and NRD staffs in Helena. And so obviously Butte was a primary topic of conversation there, and then he came here. NS: When he came to Butte. He met with both some staff of the Montana Standard and also some community leaders including activists and Superfund watchdogs. What was the meat of those meetings? How was he received? DM: Actually the community meeting he had was really good. It was members of county staff, members of the local group Restore Our Creek, which has been very active in trying to push along the cleanup in central Butte. And also attending, observing, were representatives of ARCO. 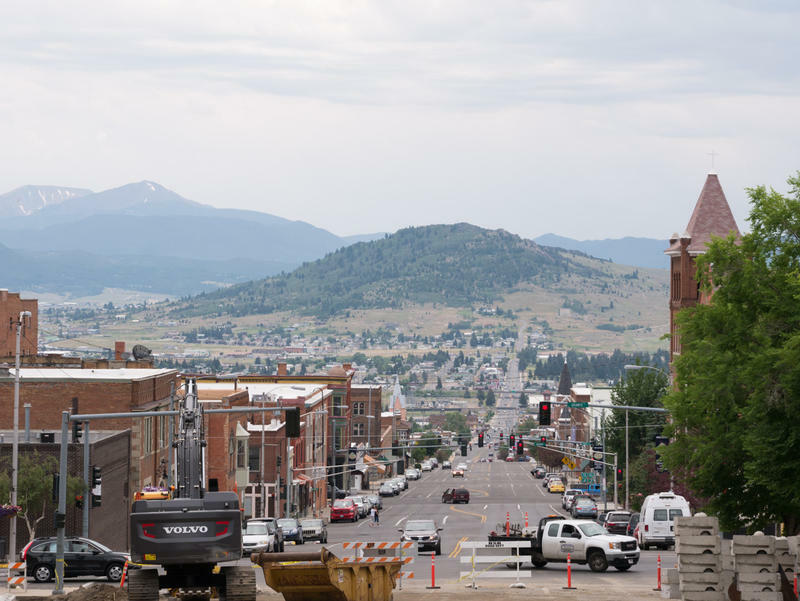 What you hear from, certainly us, when he met with our editorial folks at the Standard and also what you heard from the community was that there is a sense of urgency in Butte, that there's a feeling that this has gone on a long long time. 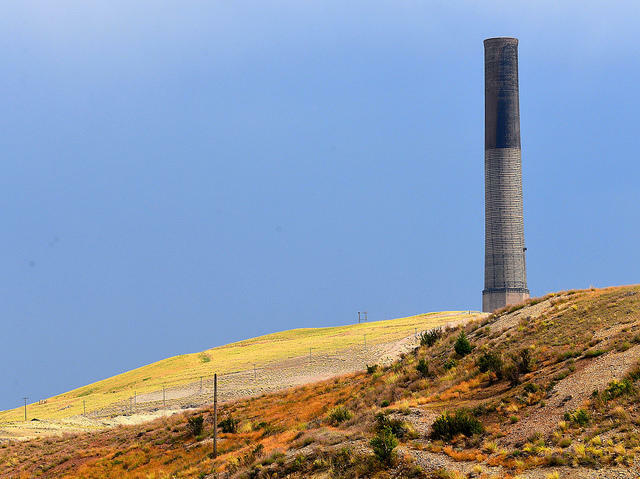 It's been more than three decades of Superfund here in Butte, and there's still an awful lot that's undone and it's time to make some progress. It seemed like that played right into the message he brought which was, we want to make quick progress on Butte. NS: And how much power does the regional administrator for region actually have? Could EPA press some kind of button or pull a lever and actually change the pace of the cleanup there? DM: Well I think they can change the pace. Certainly, if EPA decided to push things, you know, they can definitely work on all the parties to try to get to consensus, and that seems to be exactly what they're doing. What Benevento said when he came here was that if we don't see progress by early next year, we, EPA, are not averse to simply issuing unilateral administrative order as opposed to getting to a negotiated consent decree. And what's called a UAO, unilateral administrative order would just be EPA saying 'OK we think we understand this situation, here's what people must do.' And they would basically order, in this case ARCO, and to some degree, Butte- Silver Bow to do certain things to facilitate the cleanup. I don't think anybody thinks that's the best option, but it's sort of EPA's hammer, it's their negotiating weapon to try to get to a consensus. 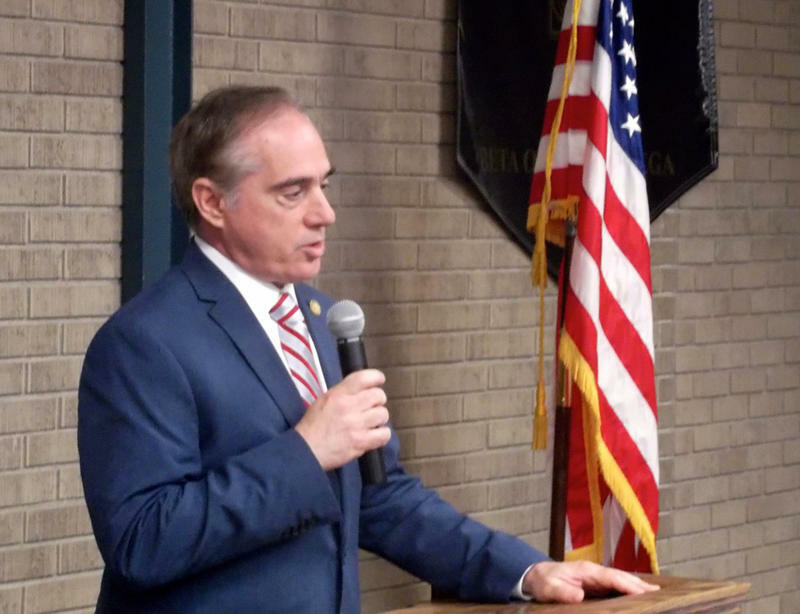 NS: It sounds like what Benevento was communicating echoes what EPA administrator Scott Pruitt has said in terms of calling for moving Superfund cleanups along; and that can be a good thing but there can also be some drawbacks, something you wrote about in one of your recent editorials. Can you tease that out a little bit? What would be the problem with expediting the clean up, making it happen too fast? DM: It's a interesting question because there's a lot of dissatisfaction about how slow it's been. The pace of consent decree negotiations, which are secret confidential negotiations between the county, two state agencies and ARCO and EPA, has been really slow. The negotiators have only met twice in 2017. They haven't met in the last six months. So, on one hand it's been really really too slow. On the other hand, if now EPA comes along and says we want to get this done immediately; what gets sacrificed in that process? What compromises are they going to be willing to make? ARCO, which is owned by BP, clearly has a pretty good direct line into, and good working relationship with Administrator Pruitt. So there's a lot of fear in Butte that a quick exit just means EPA and ARCO will be getting out of town and leaving a lot of problems behind for locals to solve. It's all about the quality of the cleanup. If the pace can be accelerated and EPA still demands now that the pollutants get taken out of the ground and out of the water, then that's a good thing. 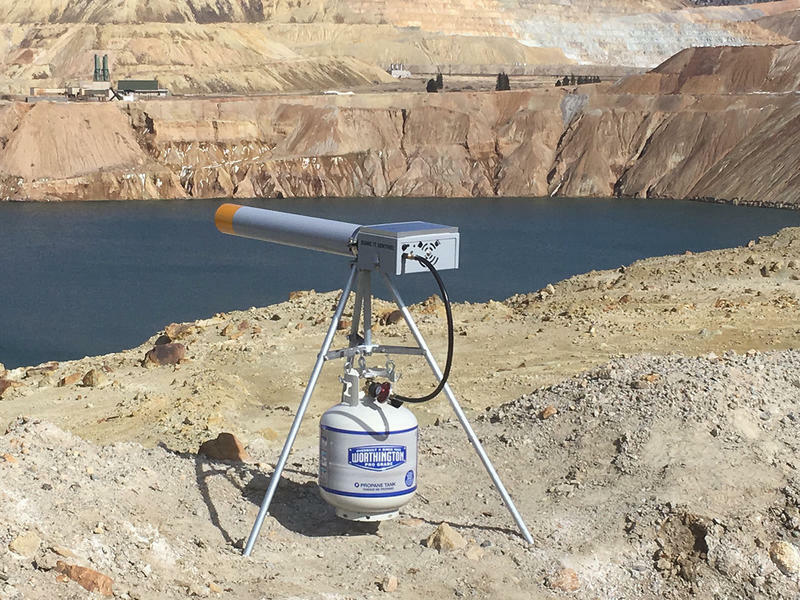 But if EPA simply accedes to waiving standards or leaving more waste in places as has been agreed to before, then Butte is going to really feel ripped off, frankly, and it could have a really dire effect on the future of this town. 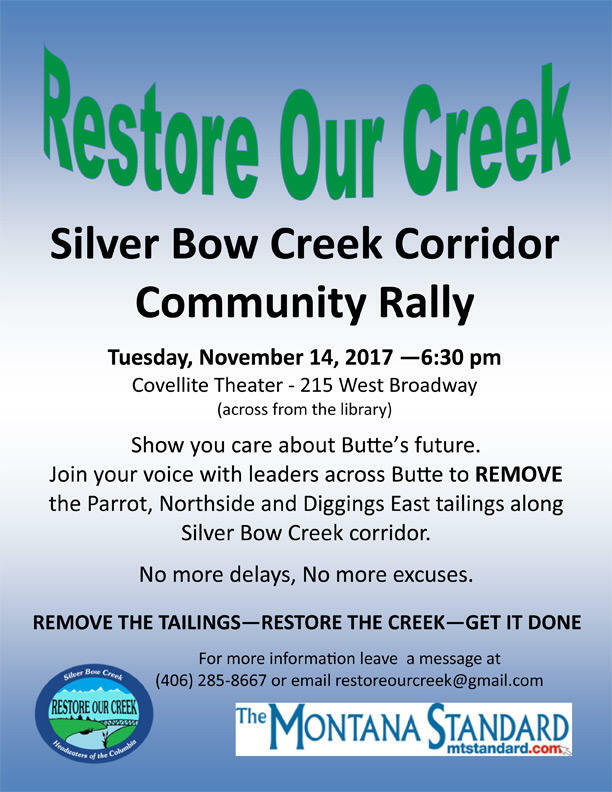 Montana Standard and Restore Our Creek Coalition are co-sponsoring a rally, November 14 at 6:30 p.m., of Butte citizens to require the EPA, State of Montana, Butte-Silver Bow, and BP/ARCO to clean and restore the Silver Bow Creek corridor. NS: Well it sounds encouraging. Benevento wants to return next week to take a closer look. And his visit is going to be on the same day as a rally that the Montana Standard and Restore Our Creek Coalition are co-sponsoring. So I want to focus on that for a second. It's a little unusual for a newspaper to co-host or co-sponsor a rally. What's the motivation? Is The Standard taking a more activist stance? DM: Well we certainly, as far as our editorial position on these issues, we haven't minced any words. We believe that a better cleanup needs to happen and it needs to happen with dispatch. We believe that the upper Silver Bow Creek court order, which has been really neglected, needs both remediation, that the pollutants need to come out of the ground, and it needs restoration. It needs to be a place that can be useful and that you can be proud of, as opposed to being a scar on the landscape. So that's that's a big thing. 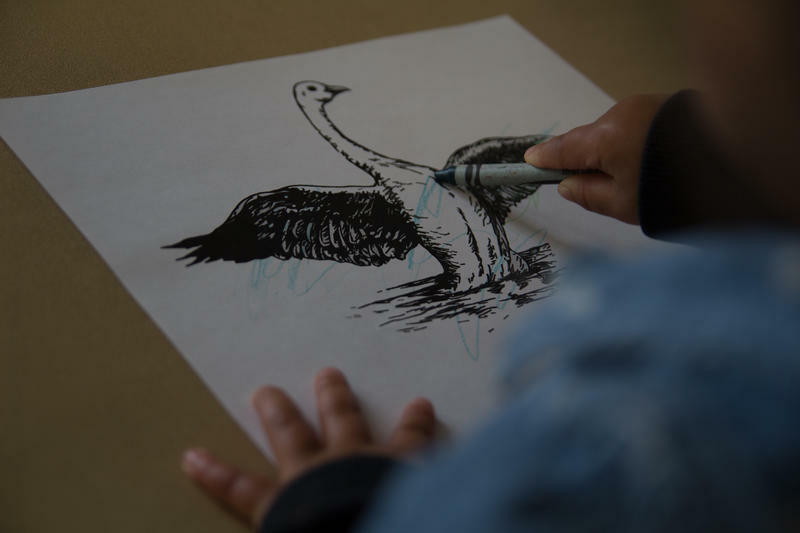 The rallying cry I think is, 'get it done, restore the creek and take action.' And I think we agree with all that. So that's one of the reasons we're co-sponsoring it. Plus it's just a it's a community event that I think is well within our purview to help along. So that's what we're doing. NS: Who else is going to be at that rally? What's the plan? DM: Well I think there's a broad-based group of speakers scheduled. Everybody from students, to representatives of the Chamber of Commerce, to representatives of Montana Tech, to us will be saying something. Restore Our Creek is a coalition of community groups. There'll be a chance basically to send a message to all of the decision makers involved in this process that the community is demanding a good, thorough and expeditious cleanup. NS: Is there a significance of the timing of that rally? DM: Well we had it scheduled before we knew about administrator Benevento's plans, if that's what you mean. But, we just thought it was high time to make it clear to the state and to EPA and to the other stakeholders that, hey we're not sleeping on this. This is priority one for this town and we need to keep focused on it and we need to get it done. NS: That rally is on Tuesday November 14 at the Covellite Theater in Butte. David McCumber Thanks for joining us to share the news from Butte. DM: Thanks for having me Nora.